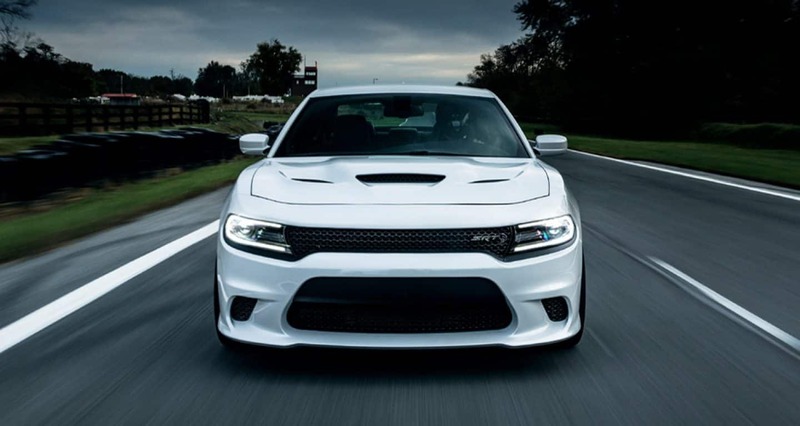 Dodge has always created the very best in performance vehicles, and they've used those ideas and practices to create an SUV that is worthy of sitting among the Dodge lineup. The 2018 Dodge Durango is a part of a legacy of impressive family sedans that Dodge has created, and the Durango has never looked so good. This is especially true as this SUV now features a brand new model option, called the SRT. This model gives you a V8 engine that can produce up to 475 horsepower. Other features that you'll be happy to see, like a 7-inch touchscreen and Apple CarPlay, have been made standard on every Durango model. 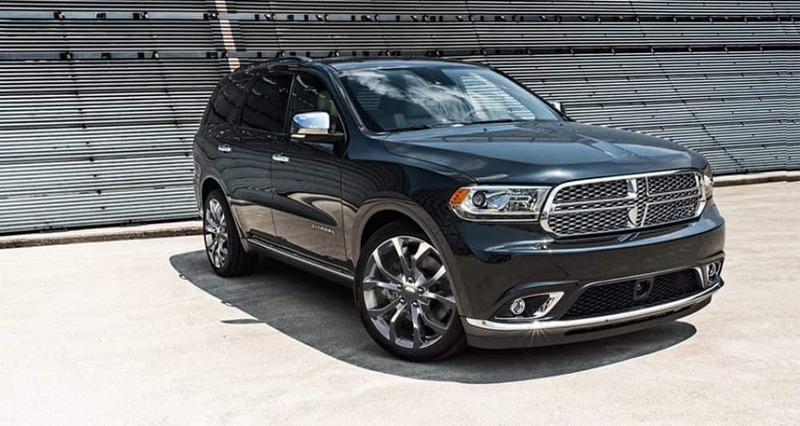 No matter why you want to check out the Durango, and no matter which trim makes you the happiest, this is an SUV that will make driving fun. 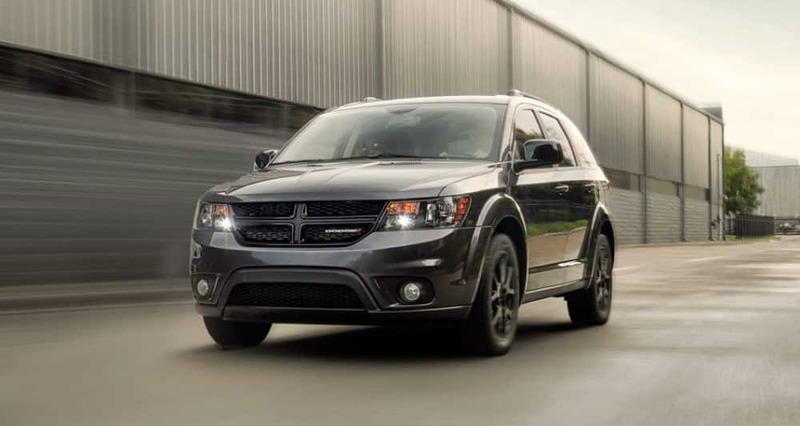 Keep reading down below for more information on this powerful and technologically advanced SUV. What safety options come with the Durango? 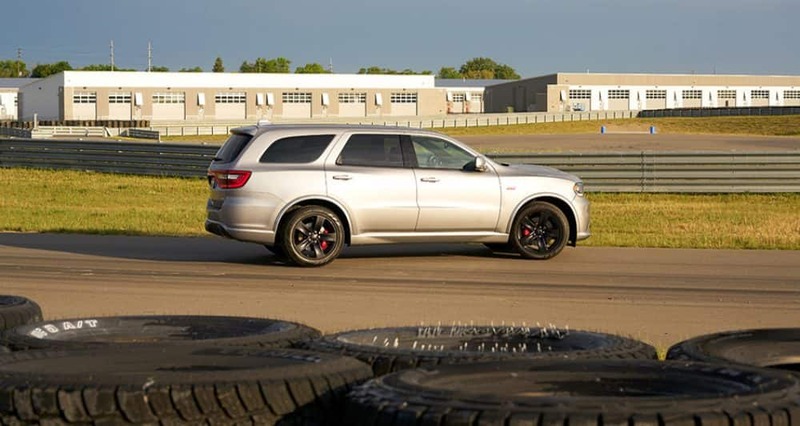 The Dodge Durango is known, to put it simply, as a two-ton bodyguard. It comes with safety features like SiriusXM Guardian, Adaptive Cruise Control with Stop, a ParkView Rear Back-Up Camera, ParkSense Front and Rear Park Assist System, and ParkSense Rear Park Assist. You'll also find features like blind-spot monitoring, rain brake support, brake assist, ready alert braking, and electronic brake force distribution. What model options come with the Durango? The Durango, along with featuring powerful engine options, comes with five trim levels to choose from. The first trim is the SXT. This model includes technology features like a 6-speaker sound system, Bluetooth phone connectivity, dual USB ports, a 7-inch touchscreen interface, Android Auto, and Apple CarPlay. You'll get other standard features like cloth upholstery, 18-inch alloy wheels, a 50/50-split folding third-row seat, a 60/40-split folding and reclining 2nd-row seat, a load-leveling rear suspension, heated mirrors, tri-zone climate control, a rearview camera, and keyless ignition and entry. Another model that you might be interested in is the GT, which comes with satellite radio, 20-inch wheels, driver-position memory settings, a power liftgate, a 115-volt power outlet, remote start, leather and suede upholstery, heated front and second-row seats, power-adjustable front seats, and a heated steering wheel. One of the most luxurious offerings is called the Citadel. This model comes with xenon headlights, HD radio, automatic high beams, a 9-speaker audio system, automatic wipers, ventilated front seats, upgraded brakes, a power-adjustable passenger seat, front parking sensors, a navigation system, roof-rail crossbars, an 8.4-inch touchscreen, a sunroof, a power-adjustable steering column, a cargo cover, additional leather trim, and upgraded leather upholstery. What engine comes with the Durango? Three engines are offered with different 2018 Durango models. The first of which, offered in single and dual exhaust, is the 3.6-liter V6. This engine produces around 295 horsepower and 260 lb-ft of torque. You'll find it paired with rear-wheel drive, or if you prefer, all-wheel drive as an option. The next engine, producing 360 horsepower and 390 lb-ft of torque, is a 5.7-liter V8. The final engine, coming with the new SRT, is a 6.4-liter V8, pumping out 470 lb-ft of torque and 475 horsepower. This engine only comes in all-wheel drive. Every engine comes with an eight-speed automatic transmission. If you want an SUV that can be your bodyguard, respond perfectly to the press of the accelerator, and keep the whole family entertained--then you need the 2018 Dodge Durango. Give us a call today to learn more, or use the form provided down below.